I was given product from Oriental Trading to have fun with, in exchange my honest review. All opinions are always my own. A few weeks ago, the opportunity presented itself to host a Christmas playdate for my kids. Honestly, I normally pass on anything that means I have to clean my house and entertain people…I gave that up when the third kid was born and my patience and energy slipped out the window. But, if it’s easy enough, I’ll do it! And, it really couldn’t have been more easy. 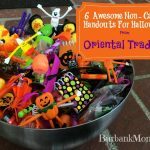 I’ve used Oriental Trading for so many things…classroom parties at school, charity event swag, Girl Scouts and birthday parties. We are already OT fans in this home. 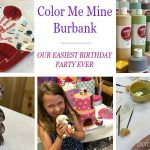 My kids love having their friends over and I was actually excited to challenge myself to find something for kids ranging in ages 3-11 to do together! Plus..hello! If my kids were having friends over, that meant I got to have my friends over too! Win-win. We went through two pots of coffee, and a plate of Saltine Cracker Toffee, if you’re wondering. I decided to host a Christmas playdate at our home this week and was completely overjoyed when I saw Oriental Trading carried party supplies in the Peanuts characters! We are huge fans of Charlie Brown and Peanuts…so, it was a no brainer. I think most of the fun, shopping at Oriental Trading, comes from the possibilities! It’s easy to be creative with so many choices. Honestly, grab a cup of coffee and plan to sit for a while…the party of your dreams (or your kids’) will magically come to mind as you search. And you truly, truly, cannot beat the price. Making a budget and sticking to it is smart…and Oriental Trading can make great parties possible on a budget. I chose a great Snoopy craft for the kids to do…because, Snoopy! I’ll admit, I got up early to put one together myself and enjoyed every minute of it. I was also able to find a candy cane toss game on sale…and it kept the kids busy for a very long time. They thought it was a fun version of corn hole. But the highlight of our party was the Peanuts Bingo! The kids asked for an hour when we were playing. I’d say we’ve got a great board game to be added to our game closet. I’m one of those who shops for smaller things all year long and keeps them in a basket for birthday parties and such, so there’s no panicking buying presents at any time of year. This basket was the best Bingo Prize Basket ever! The kids actually didn’t want to stop playing. But, alas we all had to go about our day. And you want to know how I clean up? With one swoop of the plastic table cloth. It all goes in one grab! Easy peasy. Remember how I said I liked easy? Hosting a Christmas party? Check out Oriental Trading and their Christmas selection…or their Winter Holiday options. Easter and even the 4th of July! Hey, I have friends (and you know who you are) who plan 6 months out! For your next event…heck even for this weekend’s events, check out Oriental Trading! 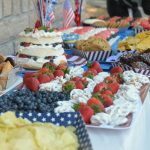 Put A Spark In Your 4th Of July Party With Oriental Trading! 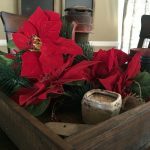 Quick And Easy Holiday Home Accents With Oriental Trading! 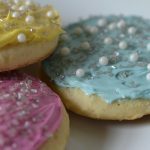 The Holidays Are Coming And These Are The Best “Sugar Cookies” You’ll Ever Make! Snow Is In The Forecast! 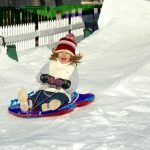 Winter Wonderfest Is Back At Discovery Cube LA, Now Through January 8th!